Eric Doeringer, On Kawara, 2010, acrylic and giclée on canvas, 8 x 10”. In “Crowd Scene,” artist Todd Kelly manages a group show that is more than the sum of its parts. As curator, he also unwittingly proves the exhibition’s underlying conceit, that there is simply too much competition out there for emerging, overly educated artists to succeed individually. Of course, there are many artists who have broken through during the past decade, usually by doing the sometimes unglamorous work of developing a visual language and engaging rigorously with formal, social, or conceptual problems. Not so for most of the four artists in this exhibition, particularly those who seem to have outright given up on originality, turning instead to the contents of their art history books. 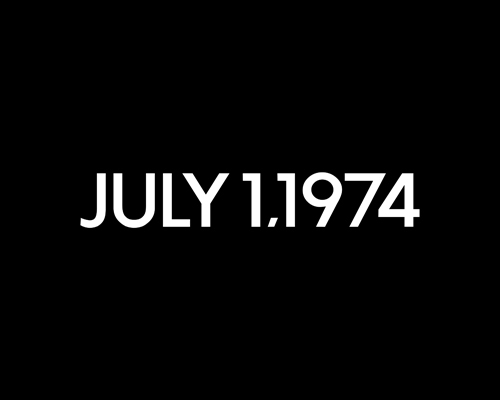 Eric Doeringer’s On Kawara, 2010, is a jarring simulation of a Kawara “Date” painting using Doeringer’s birthday. While Doeringer’s anxiety about the exhaustion of originality may be real, this terrain was thoroughly explored over thirty years ago by the Pictures generation. By contrast, Matthew Langland’s training and acerbic sense of humor shine through in his paintings, a twenty-first-century social realism, replete with tattoos, camera phones, and, naturally, vampires and cross-dressing. In this suite of “self portraits,” the sinister and absurd undercurrents of life in a hard-boiled pseudobohemia are foregrounded, imbuing them with a both psychic and sociological tilt. In this way, the real interest of “Crowd Scene” lies in its mordant investigation of the northern Brooklyn demimonde, long reputed for its groundswell of artistic activity. But, as in the East Village boomlet that is this scene’s and this art’s clearest predecessor, it is hard to discern a cogent message—or a lasting legacy—in this exhibition, beyond the cannibalization of other cultural forms and the artists’ desire for commercial success. It’s fascinating to see these tensions so clearly laid bare, and displayed under one roof.